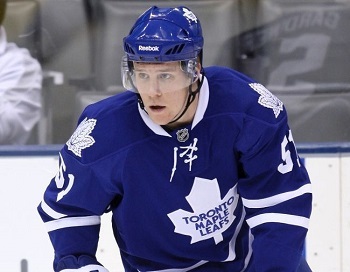 – The Toronto Maple Leafs have secured defenseman Jake Gardiner for 5 more years. The Leafs and Gardiner have agreed to five-year term worth 20.25 million dollars. 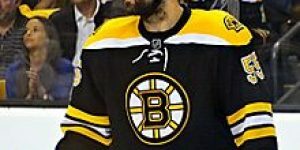 The 24 years-old American-born blue liner will have a cap hit 4.05 million dollars on his contract. Last year he recorded 10 goals with 21 assists in 80 games played. Gardiner who was drafted by the Anaheim Ducks 17th overall at the 2008 NHL Entry Draft played his first season with the Leafs in 2011. Throughout his career, he cumulated 17 goals, 48 assists in 167 games played. Gardiner came to the Leafs with forward Joffrey Lupul in the trade that sent defenseman Francois Beauchemin. This deal will make Gardiner the second highest paid defenseman on the roster. One other signing today was the resigning of forward Michael Frolik with the Winnipeg Jets. Frolich inked a one-year deal worth 3.3 million dollars for next season. In 2013-14, the 26 years-old, played in 81 games for the Jets cumulating 42 points, with 15 goals and 27 assists. 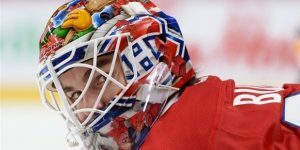 Both sides were set to go to salary arbitration on Thursday. The Kladno, Czech Republic native has 193 career points (76-117) and 137 penalty minutes in 430 career NHL games with Florida, Chicago and Winnipeg. He was acquired by the Jets from the Chicago Blackhawks on June 30, 2013 in exchange for Winnipeg’s third- and fifth-round picks in the 2013 NHL draft. 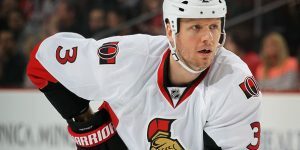 He was originally drafted by the Florida Panthers in the first round (10th overall) in 2006. On Monday, the Detroit Red Wings and forward Tomas Tatar have agreed on a three year deal for 8.25 million dollars. A rising star with the Red Wings, Tatar’s deal is an average 2.75 million dollars. Tatar, a restricted free agent had 19 goals and 20 assists with 73 games played in his first full season in the NHL. This past year was the third year of an entry-level contract. He was drafted by the Detroit Red Wings in the 2nd round (60th overall) in 2009. One key signing this week was made by the New York Rangers. They resigned forward Derrick Brassard to a five year term worth 25 million dollars. Brassard was set to have a salary arbitration hearing on Monday but both sides came to terms and avoided an appearance in Toronto in front of an arbitrator. The 26-year-old forward scored 18 goals and added 27 assists in 81 games with the Rangers in 2013-14. 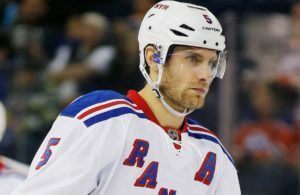 He would add six goals and six assists in 23 games in the Rangers’ run to the Stanley Cup Final. Selected sixth overall by the Columbus Blue Jackets at the 2006 NHL Entry Draft, Brassard has scored 81 goals and 144 assists in 403 career games with the Blue Jackets and Rangers. The Rangers acquired Brassard at the 2013 trade deadline as part of the trade that sent Marian Gaborik to Columbus.